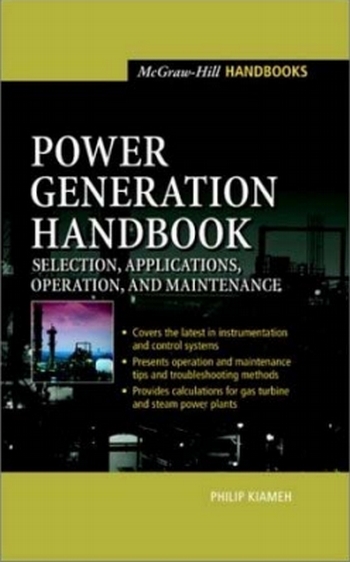 Philip Kiameh, "Power Generation Handbook: Selection, Applications, Operation, Maintenance"
Written by hands-on industry expert, Power Generation Handbook provides the reader with a full understanding of all the components, calculations, and subsystems of the various types of gas turbines, steam power, co-generation, and combined cycle plants. The author also thoroughly examines other essential topics such as emission limits, monitoring, governing systems, as well as the economics of power generation. 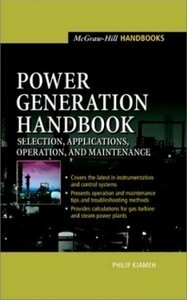 Power Generation Handbook is truly a blueprint to maximizing the efficiency, reliability, and longevity of any power generating plant.